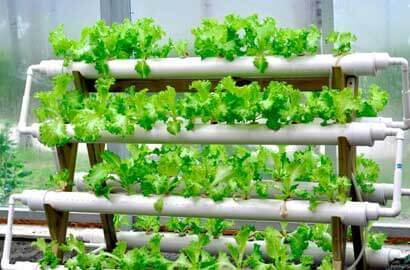 Hydroponics is a method of growing plants in a water based, nutrient rich solution in in a soilless media. It does not use soil, instead the root system is supported using an inert medium such as perlite, rockwool, clay pellets, peat moss, or vermiculite. The fundamental is to allow the plants roots to come in direct contact with the nutrient solution, while also having access to oxygen, which is essential for proper growth. Growing with hydroponics comes with many advantages, majorly is rate of growth in your plants. With the proper setup, your plants will mature up to 25% faster and produce up to 30% more than the same plants grown in soil.